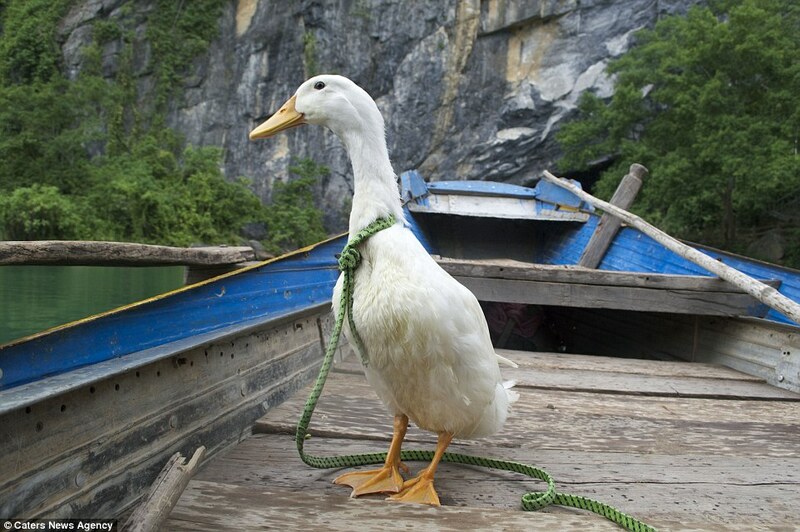 When looking for a travel buddy to go on an epic adventure, it’s customary to look within your own species. 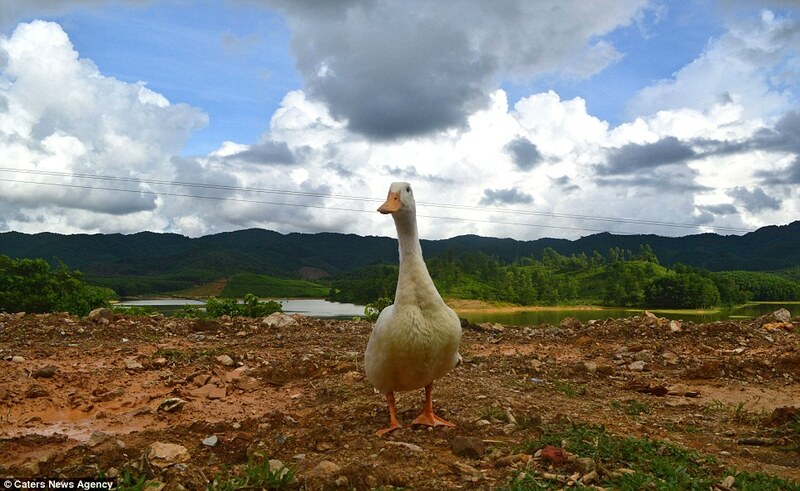 However, one traveller has revealed he paired up with a daredevil duck on an epic two-week-long, 1,000-mile journey around Vietnam. 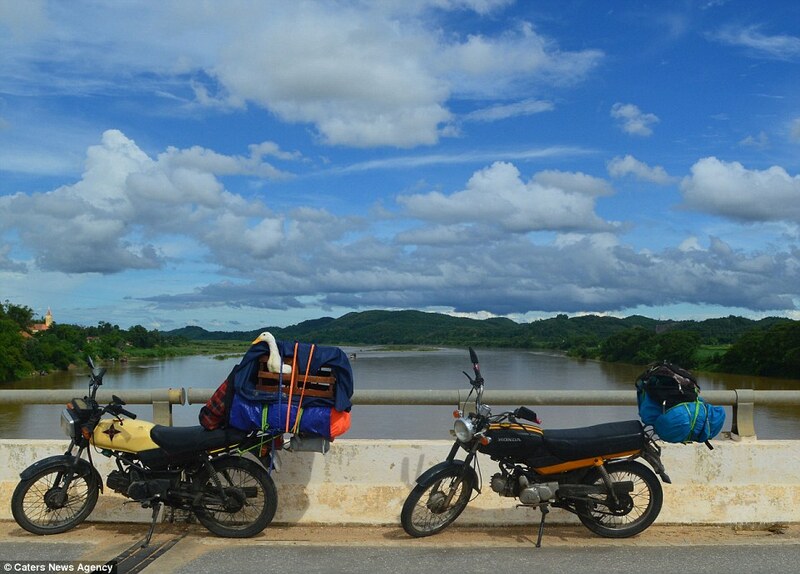 Rab went on the trip – even riding on a motorbike – with Dan McAllen, 21, and his friends, all from Northern Ireland, as they completed the Top Gear route through the South East Asian country. 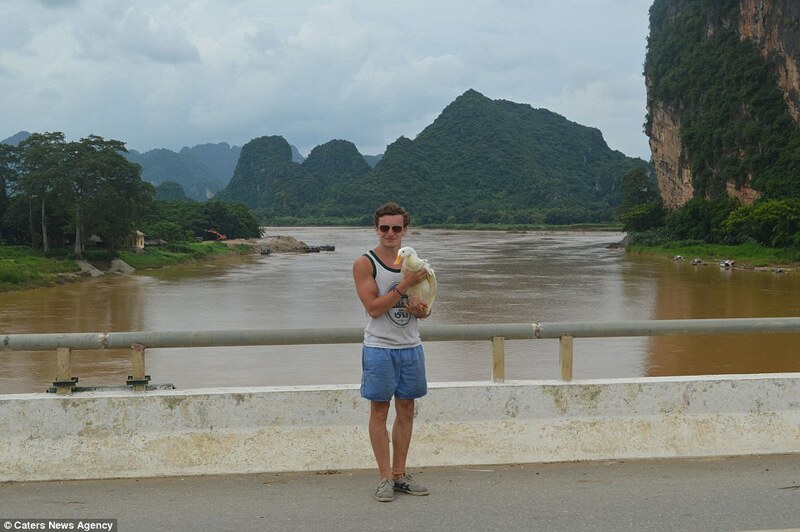 They bought him at the same time as they bought their motorbikes for the journey – from a fellow Northern Irishman. The group travelled more than 1,000 miles around the country, taking in nine cities, where Rab joined the group in restaurants and bars, pulling up an extra seat at the table so he could sit patiently with them. 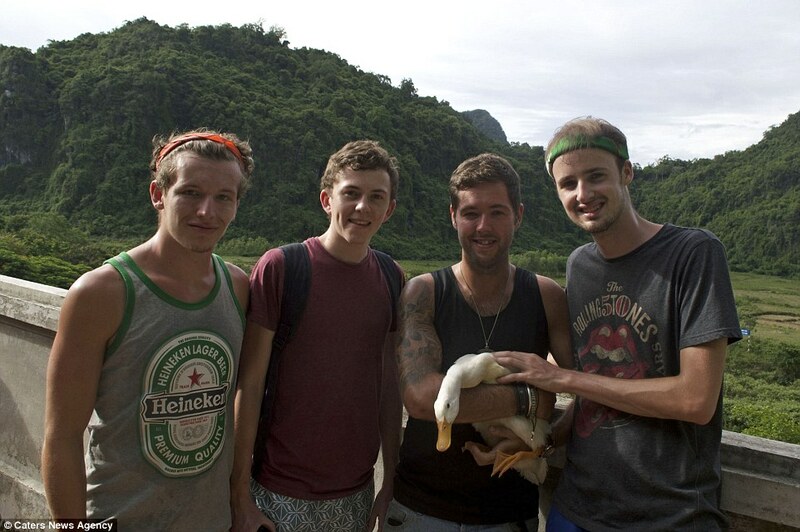 When their trip came to an end and the lads had to return home, they tried desperately to find him a new home. 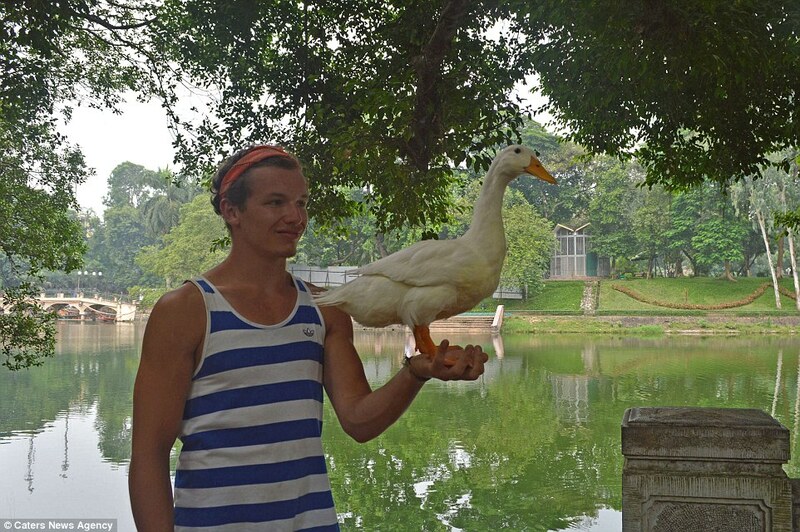 Unfortunately, despite the obvious love for the bird, they couldn’t find him another home and released him back into a Hanoi lake. 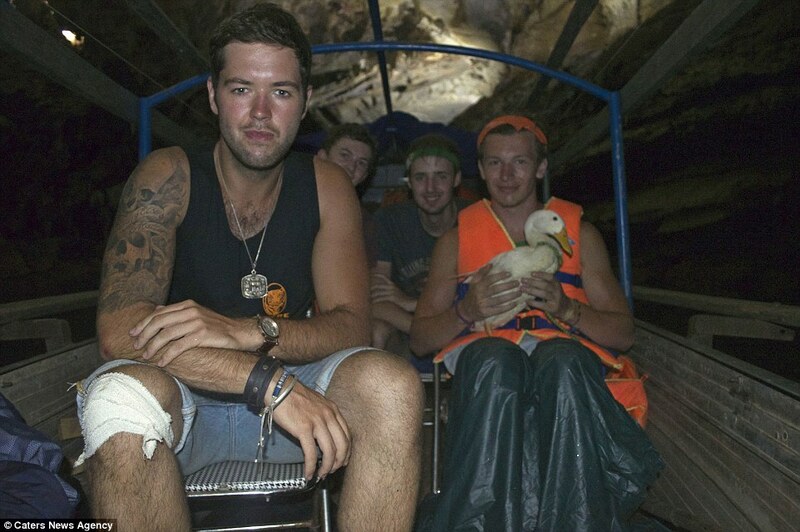 Dan said: ‘It was absolutely heart-breaking – he was like a member of the family. 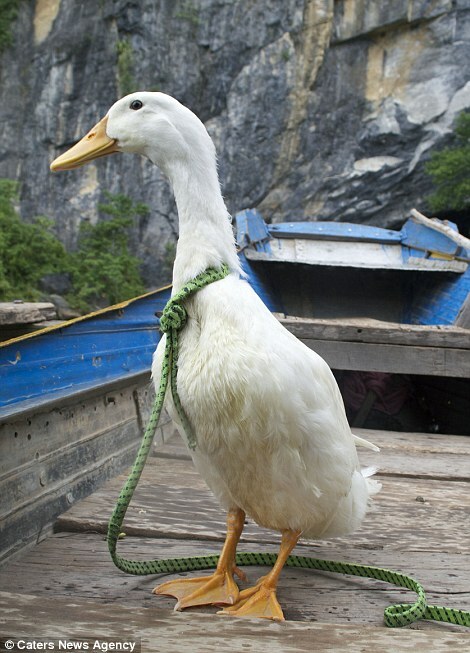 He had become so attached to us that he tried to follow us away from the lake. 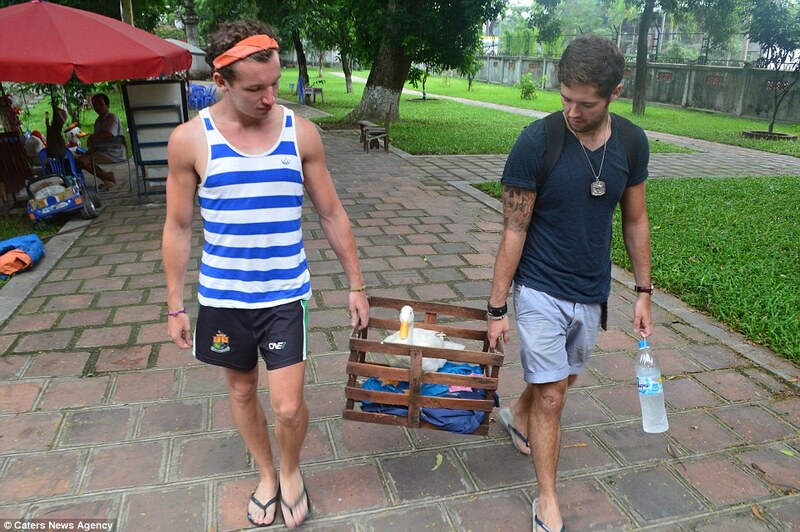 This entry was posted in Blog and tagged best hostel hanoi, best hostel vietnam, buddy, chea hostel hanoi. 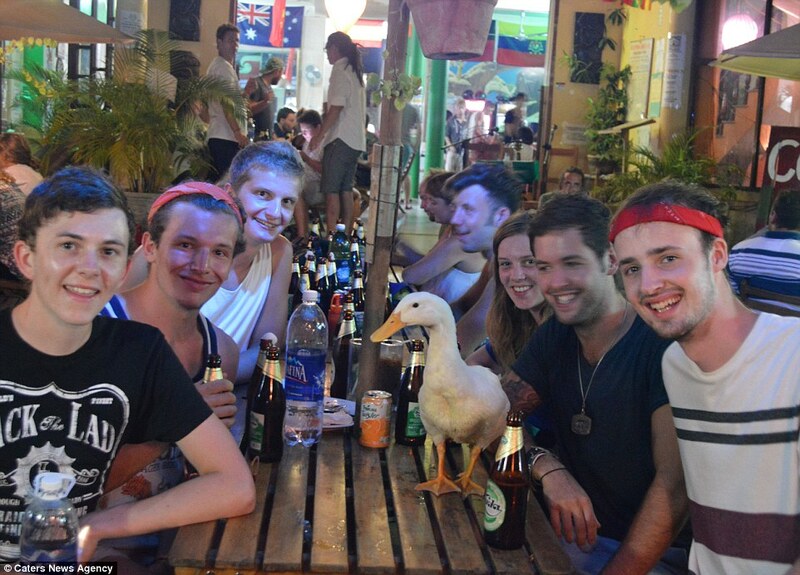 budget hostel, clean hostel vietnam, duck, hanoi hostel, hanoi youth hostel, journey, motorbike, motorbike tour, rap the duck, south east asia, travellers, vietnam backpackers hostel.